It comes in a plastic stick with a pull-off cap. 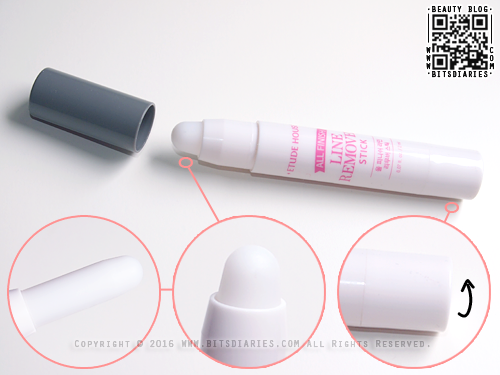 The remover stick is retractable and has a creamy, balmy consistency. Rotate the bottom of the stick to twist up the product. Apply it onto the makeup mistakes, then use a q-tip to clean it away. 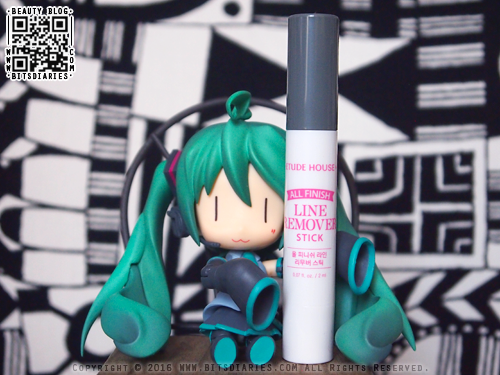 I usually use it to erase eyeliner smudges. It's a super handy tool! 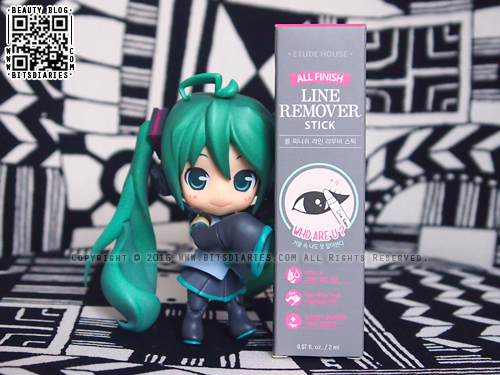 It quickly fixes makeup mess, removing even the tiniest mistakes without leaving an oily film like makeup removers do. I like how it corrects mistakes leaving the rest of my makeup untouched. 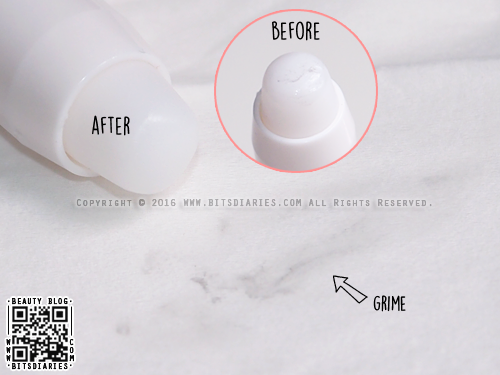 Besides cleaning smudges, it can also be used to erase all traces of waterproof eyeliner, but it may take a few wipes to remove it completely. Note: The tip gets dirty after each use, so don't forget to clean it with a tissue. By doing so, helps to maximize its shelf life. Overall, it does what it promises. But I prefer the All Finish Remover Bar (a box of q-tips filled with makeup remover) instead of this stick one because I just have to bring one product, use and throw it away, which is more convenient. Whereas for this stick one, I have to bring some q-tips along, which I find it kind of hassle. Well, it's still a good product nonetheless. I recommend it to all!